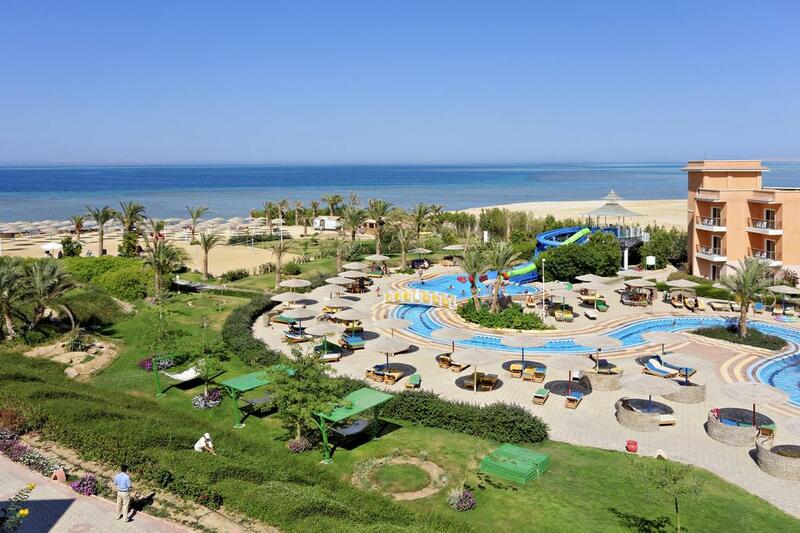 The Three Corners Royal Star Beach Resort mixes European flavor, Egyptian culture and a sunny climate to create an unrivaled Red Sea front. The totally new Royal Star Beach Resort boasts a unique and distinctive pool environment to suit the needs and desires of each of its guests. Experience the genuine hospitality and outstanding service that is the hallmark of The Three Corners Hotels & Resorts. 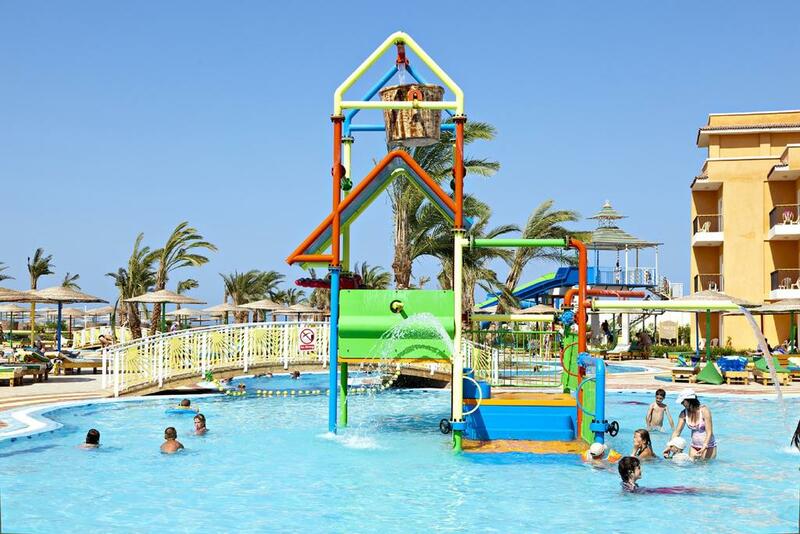 The Three Corners Royal Star Beach Resort borders the Red Sea and is nearby the center of the downtown area of Hurghada. Here you have the best of both worlds: the natural wonders of the sea are accessible from our private beach with Hurhgada's city-life only 200 metres away. Hurghada, known in Egypt as 'Ghardaga', was at one time just a simple fishing village. 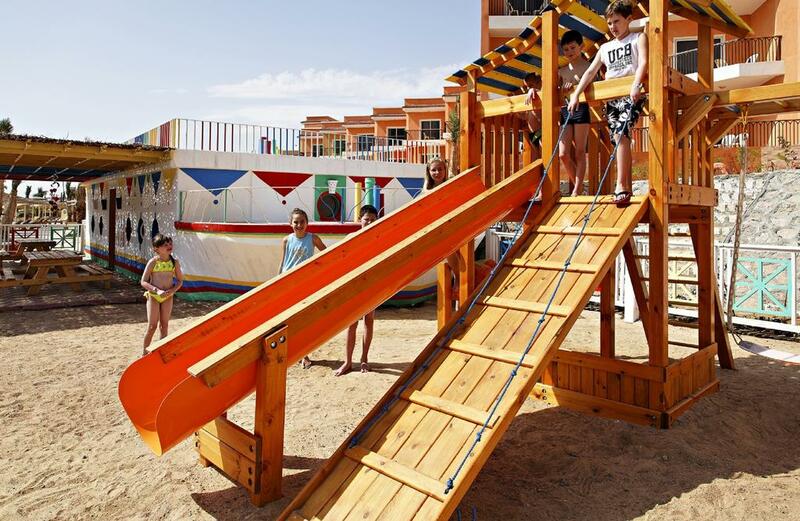 It has gone on to become the foremost tourist resort of the Red Sea coast and an international center for aquatic sports. The swimming pool deck with a cozy heated pool offers and extended view over the Red Sea, where you can enjoy the Egyptian Sun. There is also a picturesque sandy beach with a natural marina and fishing boats and a shallow entrance to the Red. Or you can also enter the Red Sea via the beach of the adjacent Triton Empire Beach Resort. Umbrellas and beach-towels are free of charge. Not Included are: Fresh juices, imported alcoholic items, local champagne and minibar consumptions.